The Bible is the most important book in the history of the world. No other book has transformed lives, families and entire nations like the Holy Bible. It reveals eternal spiritual truths as well as the fundamental ethics upon which civilizations are built. Most Christians in the West have several copies of the Bible at home, however there are millions around the world without a single copy of the Word of God. It was written to all humanity and has the answer to its needs. Every person should have a chance to read it. 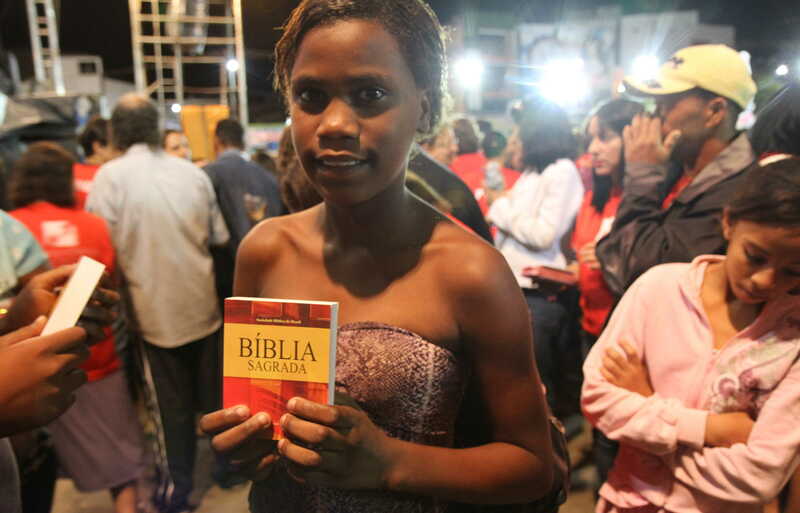 Rubens Cunha Evangelistic Ministries and its donors have provided tens of thousands of free Bibles and New Testaments to new believers, school children and families around the world. Join us in our quest to spread the Word of God!